Remove the fuel filler door housing. 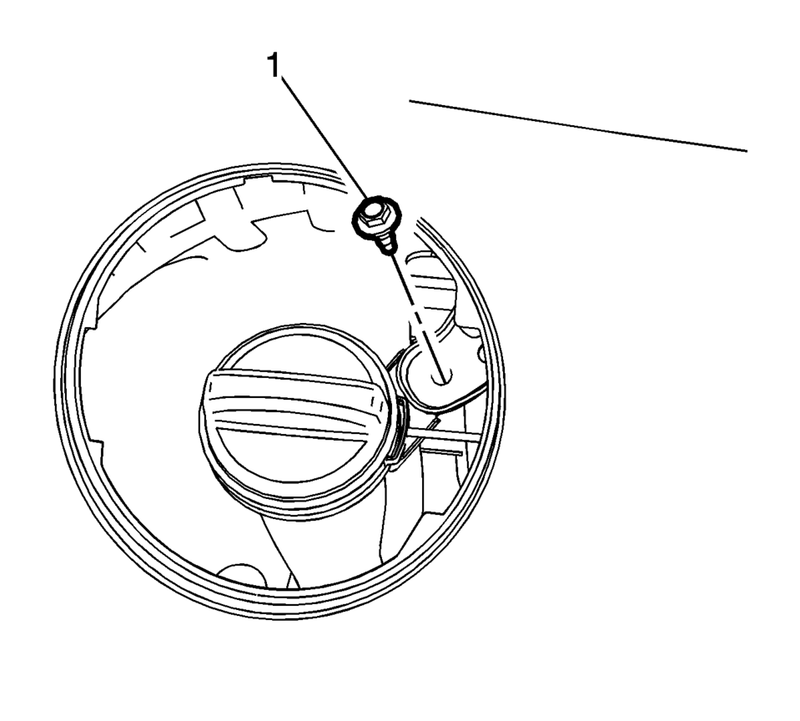 Refer to Fuel Tank Filler Door Latch Housing Replacement. Remove the bracket fastener (1). Lift and support the vehicle. Refer to Lifting and Jacking the Vehicle. Remove the fuel tank filler pipe bracket fastener (1). Remove the vent hose clamp (2) and vent hose. Loosen the filler pipe hose clamp (3). Remove the fuel tank filler pipe (1). 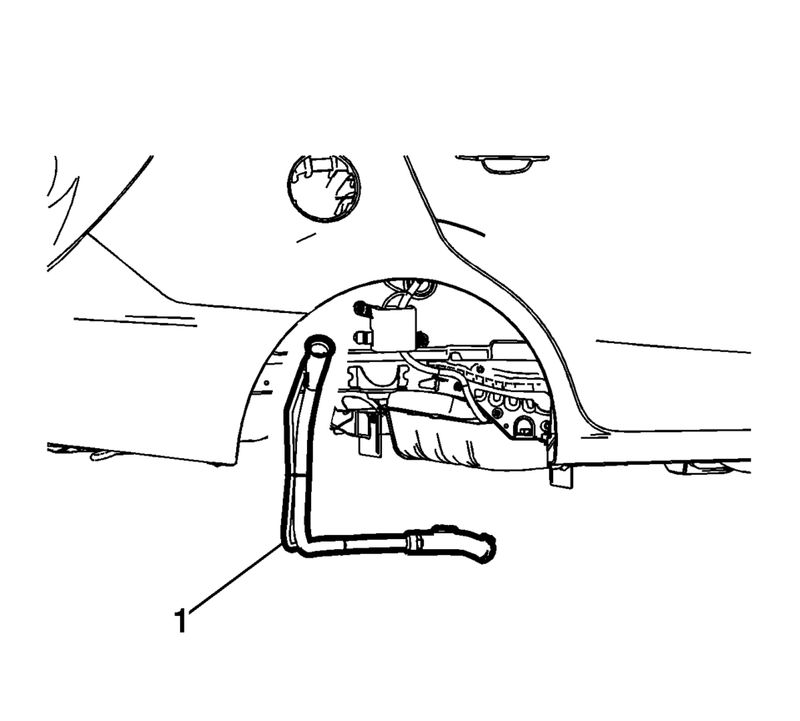 Install the fuel tank filler pipe (1). Install the vent hose clamp (2) and vent hose. Install the fuel filler door housing. 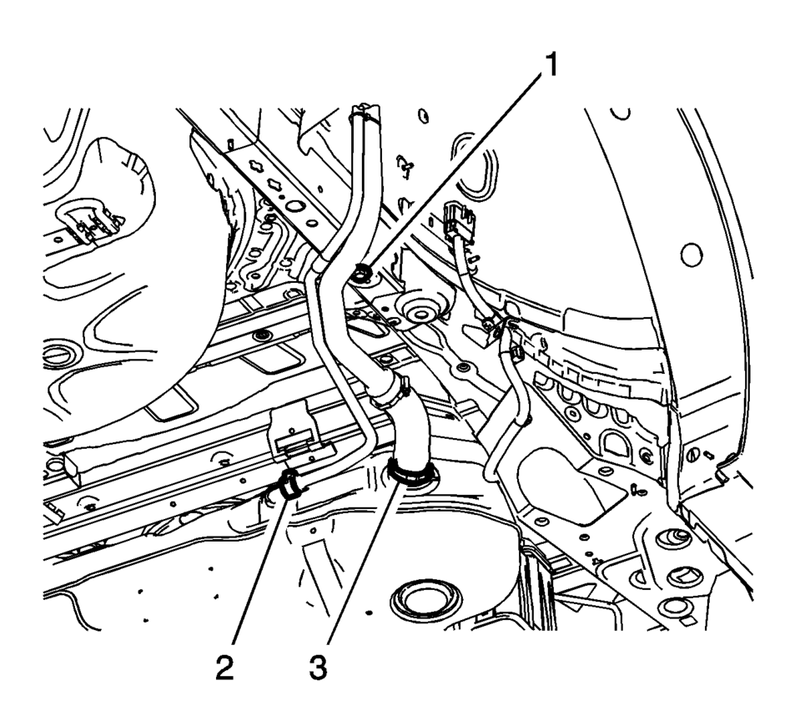 Refer to Fuel Tank Filler Door Latch Housing Replacement.